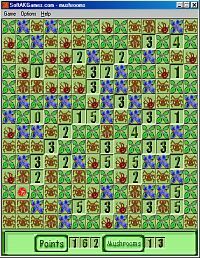 Download and Play Mushrooms, free minesweeper type game for Windows. 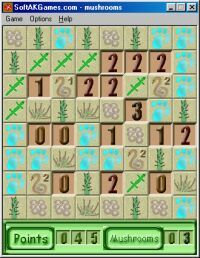 There are 5 sizes of game field (but only two of them are avalible in unregistered version). - There is no time limit in 2Mushrooms, so you can play as quickly or as patiently as you wish. - 5 sizes of field.